Few things quench heat better than watermelon. By learning the art of growing watermelons, you can have melon juice or fruit anytime you like. Keep the seeds inside for three weeks prior to planting in the garden. It’s a good idea to plant two or three seeds in the pots. Sometimes the seed won’t germinate, so planting a few is necessary. While they’re in the house, keep the temperature between 80 to 85 F. Apply starter fertilizers above the soil. Water the pots regularly. When the soil is warm, take them outside. These need to be planted in hills or alternatively, rows. Just shape the soil like a small mound to make a hill (at least 2 inches high). When growing watermelons, you need to insert the seed an inch deep in the hill. Seed space should be at least 6 ft. The spacing is also applicable for seedlings. Layer some starter fertilizer on the seeds. It doesn’t have to be very thick. What matters is that it’s uniformly set. Seeded types are also required when planting seedless variants. Without them, the pollen will be insufficient to allow ripening. Note: the large watermelons require a lot of space. If you don’t have garden room, you can grow the bush variants. These small watermelons only need a third of the space. 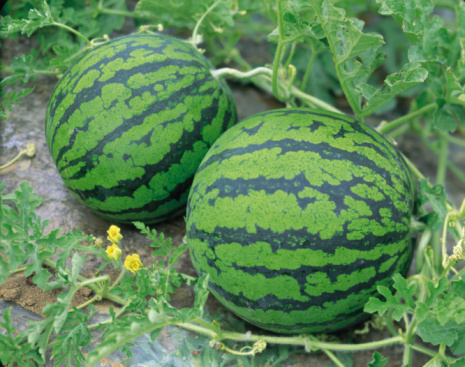 The larger ones weigh around 30 lbs, but some can reach 200 lbs, so those growing watermelons need to know this. The baby bush types mature in 80 or 90 days. The standard types need around 90 to 100 days. The sun is very important if you want the fruit to be big. Sunlight is also necessary for healthy vines. Needless to say, you should wait for the frost to end. It also needs a lot of compost. The manure and leaves must be in large amounts. For the fertilizer, get one with plenty of nitrogen. Use this until the flowers appear. When that happens, change the fertilizer to one with potassium and phosphorous. Using liquid fertilizers is also acceptable. The soil needs to be moist all the time, so watering is necessary. Water them regularly. If you’re growing watermelons, here are the signs to look for if it’s ready to harvest. Number one, it stops growing. The underside starts to turn yellowish and the stem starts to dry. Sometimes the stem shrivels at the base. Others like to tap it. If it’s ripe, there’ll be a dull sound. It may take some time before you can use the tapping technique. 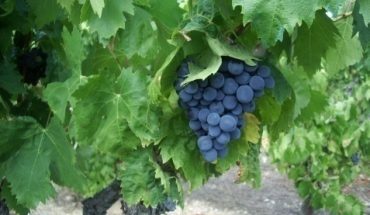 But growing these regularly will help you learn the nuances of this method. You need to use insecticides to keep insects and pests away. In particular keep an eye on the Cucumber Beetle; this can spread disease in the fruit. Other problems could include downy mildews and powdery. Prune regularly to keep these infections at bay. Growing watermelons requires some perseverance. But come harvest time all the hard work will pay off.